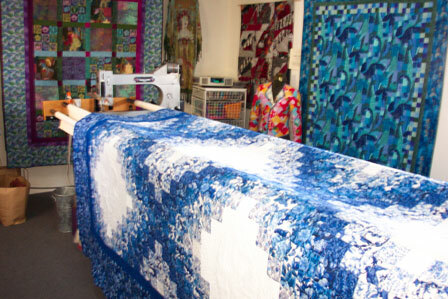 Custom hand guided LongArm Quilting. 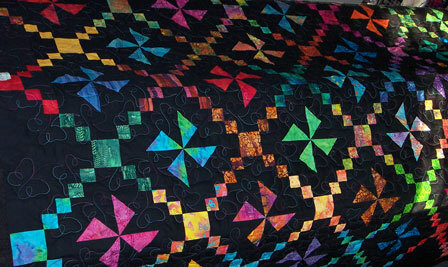 Send your quilt top pieced and ready for quilting. 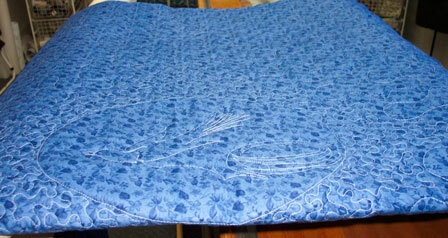 You will need to cut the quilt backing and batting at least 4" longer and 4" wider than the size of your quilt top. Indicate the top of the quilt front and the top of the backing with safety pins. Do not baste or pin the quilt top and backing together. 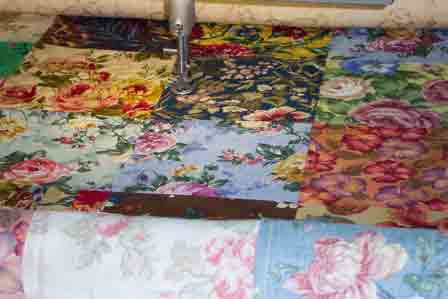 Press your quilt top and backing material. Horizontal seams on backing allows for the best tensioning on the quilt. Please remove all selvages before piecing the backing. 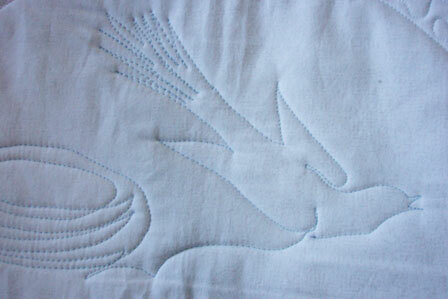 Trim and remove all loose threads from the top, front and back of the quilt top as well as the backing. 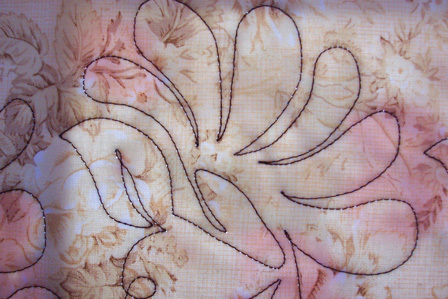 If there are light areas on your top, dark threads can really detract from the finished product. 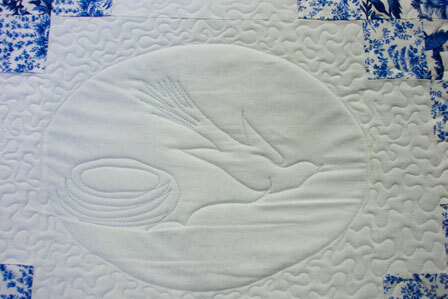 Your quilt is measured both through the middle and along the edges. Any difference in the measurements will alert me to the possibility of "ruffled" edges. We will discuss options available to deal with this. 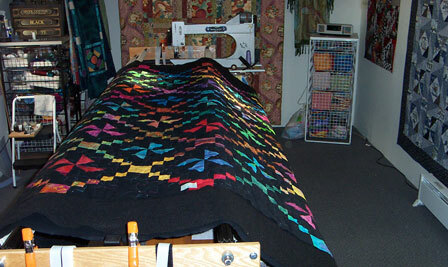 To determine square yardage, measure (in inches) the length and width of the quilt top. Multiply the two numbers together and divide by 1296. Your selected pattern is repeated in each row across the quilt.